The perfect trek for mixed ability couples, groups and families with older children. Trekking up the valley towards the Old Gold Country with many river crossings and finishing at beautiful Moke Lake. Explore 33,000 acres of the most impressive farmland the district has to offer with high mountains and pristine lakes surrounding you for a magical experience. 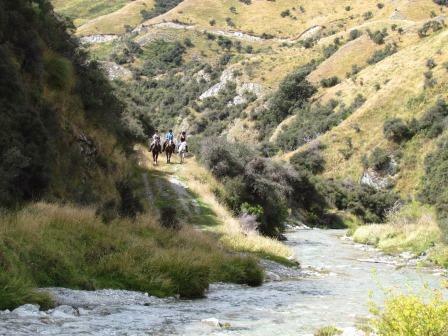 Also great for experienced riders that don’t have the time for our longer trek. If you would like to book a private guided trek, please send us an email with your confirmation number and we will upgrade it if available. Additional price will apply : extra $40 per person.